Jack Butala: James Wise is a licensed real estate broker. His company, The Holton-Wise Property Group, operates one of the largest scattered site rental property portfolios in the Cleveland, Ohio area. They cater to investors, both local and out of state, and want to build a long-term wealth program through passive income investing. He’s always had a passion for real estate investing. He purchased his first property at the age of 21 and never has looked back. 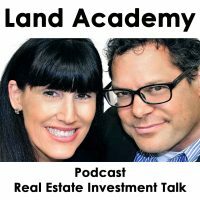 He’s been a guest speaker on several real estate investment internet radio shows and podcasts. He regularly writes blogs and articles about real estate investing. James is a lifelong resident of the greater Cleveland area. He’s an active member of the national association of realtors and the Ackeron-Cleveland association of realtors. He holds an associate’s degree in business management from Cayahoga Community College. Jill, you’re like 21, how’s it feel? You guys have kind of kindred spirits. Same kind of investing age. Jill DeWit: Say that again? I’m 21. I like that. Thank you. Jack Butala: No, James did I leave anything out? James Wise: Nope, I think you hit everything on the head. Jill DeWit: You threw me on that. That was good, thank you. Jack Butala: Yeah. Well no I mean, all kidding aside, Jill can you imagine starting this when you’re 21? Jill DeWit: Oh my goodness, and staying with it. We kind of did. I did, Ben and I got this … I don’t know, like I’m supposed to have the corporate whatever job and I got sidetracked. I wish I would have stayed with it. Jill DeWit: Right, it all comes back. Jack Butala: James I got to know. What pushed you over the edge at such an early age? James Wise: I always wanted to be a landlord. That was like my dream. I don’t know why, I just thought that was a great business model that I wanted to do. You buy a house using somebody else’s money, and then somebody else pays off your loan. As soon as I heard that I’m like sold. Jack Butala: The switch just flipped in your head and that was it. James Wise: I’m like ah, greatest idea ever. Sign me up. Jack Butala: Did you ever want to be a fireman or a baseball player or just a landlord? James Wise: I mean I’m sure I wanted to be a baseball player around the age of like 10. I’m not much of an athlete, so that quickly went to the wayside. Jack Butala: Who are you in your professional industry, like explain your niche and how many units you guys have. Give us a good solid overview. James Wise: Okay. Yeah. The Holton-Wise Property Group, we’re located in Cleveland. We work the west side of Cleveland and some surrounding suburbs. Brookland, Lakewood, Parma. We do scattered site property management. We’re a full service brokerage, so we do residential sales as well. Mostly we’re geared towards the investor. Our main objective is to help people buy rental properties and then we take over the management. Our typical client is going to be out of state. High net worth individual that doesn’t have a lot of time or perhaps they’re in a market like LA where the prices are incredibly high, and they see the prices we have out here in Cleveland and they’re like “Wow! That’s pretty cheap! I couldn’t even get a parking lot for that over here.” That’s what we do. Right now we’re getting close to 300 units under management. Of that, my partner and I, we own about a third of those and then the rest of those are just properties we’re managing for our clients. Jack Butala: What a great business model. James Wise: Yeah, it’s kind of like turnkey, but with like a slight twist, you know? Jack Butala: Yeah. I mean I’ve never heard anyone flat out say I want to be a landlord and I like doing it. I mean all you hear … Dispel this myth for us. All you ever hear is “Oh, landlords are just … They call you in the middle of the night and all this stuff happens.” It can’t be like that for you, or is it? James Wise: I mean you get the calls. You get a lot of calls, but as you scale your business and you grow your business, that kind of stuff, you can set yourself up with a team and a support staff where you don’t have to worry about literally taking the 4am phone call at all times. At the very beginning when we started this, it was just me and my partner John. He was a contractor, I’m a realtor. It was only the two of us. We didn’t have an office. We didn’t have support staff. It was much more hectic back then, but as the business grew, we got office buildings. Office lines. Support staff. Other agents. Other employees. You can really automate everything and once you get your processes in order, it’s nowhere near as crazy. You still get random stuff. Jack Butala: Your operations seem very similar to ours. That’s what Jill and I teach and we really … We preach putting systems in place, just like you’re referring to. Jack Butala: That the whole thing works for you, not against. Our typical business model is very similar to yours except the assets a little bit different. It’s just land. There’s not a lot that can go wrong with a physical asset. Everybody’s kind of on auto-pay, so it takes it even a step further if you know what I mean. James Wise: Now when you guys are doing the land, question. Are you guys buying the land and then reselling the land, or are you brokering the land? Jack Butala: We are not licensed agents, in fact no one in our organization has a license. We don’t represent anyone else, so we purchased a property. We purchased a property for cash, and then we either mark it up and sell it for cash or we sell it on terms just like you do, but you call it rent. We call it terms. James Wise: Very cool. One thing that I’d like to point out about my business, how it differs from what the majority of the other folks who are in a similar business do, is we don’t strive to purchase the property and then resell. I know all the other turnkey guys want to buy it, fix it and sell it. Our company, we went a different route. We’re brokers, so we actually just want to work with you as your buyer agent. Just like you were here in Cleveland, even though you’re out in California. We’re out there searching the neighborhoods, trying to find you the deal from other sellers and getting you the best possible price. Jack Butala: That’s great. That was actually my next question, what makes you successful or what makes you different? That’s a great way to describe that. James Wise: Yeah, we did it for a few reasons. We felt it really aligned our interests with our clients. Number one. Number 2, it didn’t bottleneck us to only the properties we could buy and rehab. As you know, when you’re buying and rehabbing, that’s a lot of human capital and cash. James Wise: Our inventory would be much smaller if we had to do it that way. Jack Butala: Just about everyone I know in this business who sticks to doing one thing like you described, does it really well, they end up being really successful. I think when you try to do 6 or 7 things, it becomes convoluted and confusing to the people that you’re trying to attract. James Wise: I couldn’t agree with you more. Jack Butala: That’s great, man. What projects are you working on right now? Give us an example of start to finish. A guy from Los Angeles calls you or maybe he’s an existing guy. What triggers the thing? Is it a great deal on a house that you find? Or give us an idea. James Wise: Well number 1, just constant marketing and presence. We’re always out there. We’re doing a lot online. Shows like yours of course, people that hear your show, they hear me, they say “Hey, that sounds interesting.” They’ll contact us. From there, myself or one of our sales agents will discuss with that investor their particular investment goals. Because we’ll do single family houses, we’ll do duplexes, we’ll also do apartment buildings. 20, 30, 40 units. Every investor’s got a different mindset of what they think they want, and sometimes, what they want to do isn’t actually feasible, so from there we’ll kind of guide them into something that would actually work in our market and after we kind of come up with a game plan, we’ll then go out and search properties that meet that criteria. We’ll represent that particular buyer as his agent. We’ll give him an estimate on how much money we would need to put in the property to get it rent-ready. When we’re targeting properties that are aggressively priced in the market, that maybe just need a little bit of love, we’re not looking to find a $30,000 house that needs a $30,000 gut job. We’re looking to find something where the comps maybe they’ll be $80,000, and this particular property’s listed at like $65,000, $70,000 because it’s dated or it just needs some minor repairs. We’re looking for rehabs in the $10,000 or less range, so we give them the quote on how much that will cost after that person purchases it. We then go in and do that rehab for them, and then we start advertising for tenants. We get it occupied and then we continue the management. Then when it comes time to exit the market, we’re right there to sell that property for that investor. 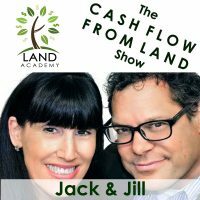 Jack Butala: Does that investor typically pay cash? James Wise: No, actually, a lot of our investors are using conventional financing, and I believe that that is the right way to go. James Wise: I think people that are interested in buying rental properties, I think people that are really missing the boat if they’re not focused on principal paid out. Jack Butala: Okay, good. That’s good to know, too. You have a … You’ve really solved a lot of stuff. A lot of the issues that stop people from getting in this business you’re addressing in the first 10 minutes here. Which I think is great. I think there’s a lot of people running away from financing. I think there’s … People that … I think the general perception out there is that a $30-40-50,000 house can’t produce any money. It’s … I was looking forward to … I was reviewing your bio and looking at you online before we started the show, and it seems like you’ve figured it out. What’s the secret? James Wise: Trial and error, I’ll be honest with you at the beginning. We tried a lot of different things, and I think you touched on it earlier. You have to really find what you’re good at and stick to only that. We did a few traditional turnkey sales, we thought maybe that was the route we wanted to go. After that we realized eh, not so much, and we really catered down to exactly what we do. We only work in certain neighborhoods, and we have one product that we provide, and that’s what we stick with. We get calls from people wanting to do all kinds of crazy things. People wanting to flip properties with us or do full gut rehabs or work in areas that we’re not familiar with. We cut all the distractions out, narrowed in on exactly what our model was, and just executed it and we get better and better at it every single day. I think that’s the major key right there. Pick what you’re good at and just go with just that. Jack Butala: It’s great advice. A typical deal, is a typical deal like you’re … It’s ready to rent at what, $50-80 grand or some number like that, and what kind of rent do you get? James Wise: Well we work in a couple different asset classes. What I would classify as a B neighborhood or a C neighborhood. A C neighborhood, you know that’s actually the city of Cleveland. Typically what we’re selling over there is duplexes that are going to cost you after rehab, between $65,000 and $85,000, and we’re getting between $1,000 and $1300 in rent. Then we’re doing a lot of suburban stuff. Lot of single families in the suburbs which are going to run you $70,000, $80,000. They’re going to rent for between $900 and $1,000. These are properties, if you’re all in for $80,000, you probably picked it up for $70,000-$74,000, and then we put $5,000 or $6,000 in before we put a tenant in there. Jack Butala: How do you find property that’s cheap enough to make this all work? James Wise: Well my company’s all about constant marketing. We’re a brokerage out here. We have a huge local presence. We do direct mail. Yard signs. We sponsor baseball teams. Soccer teams. Newspaper ads. We’re just constantly out in front of sellers, just constantly looking for people who want to sell their properties. Jack Butala: That’s great. Jill and I live off of direct mail. We send thousands and thousands of letters out all the time, and I’ve been doing that for quite some time, since the early 2000s. We send an actual offer out to people who have properties, and we get an extremely good response. In fact that’s the methodology that we teach at Land Academy. That’s great that that’s working for you. I mean is there something new that you’d like to try that you think might work that you just haven’t got to yet? Or what’s the predominant way that you get the phone to ring for people who want to sell their property? James Wise: Yeah. I think it’s a combination of everything I mentioned. You send them the letters, you’re not going to get a call usually on the first letter. You send that person a letter every few months. It’s starts to be in their brain. They’re driving the neighborhoods, they see your sign. They look at the newspaper, they see your company. Just constant market presence. I think I read somewhere that you have to touch somebody 7 times before they want to contact you again. I think you need to be out in front on all fronts, and it’s just a combination. I’ve had calls from guys where I owned a house right next door to their house, and they told me they saw my sign on the house every day for the last year, and then they finally decided to call me, because they had another building that they wanted to sell. Jack Butala: Wow, that’s great. You know I guess Jill that’s one of the advantages of working on one area. Jill DeWit: That’s what I was just going to say, ours, we just canvas the whole country, and pretty much. I’m not married to a state or an area, so I send out that big blast and move onto the next county. I was going to ask James though, do you find you typically have more properties or like my problem is, I have more properties sometimes than I can work with. Do you typically have more investors or more properties? James Wise: Hmm. Well we work everything in our area, so we always have a high supply of properties. James Wise: Are they necessarily always priced at the price that all of my investors want to pay?